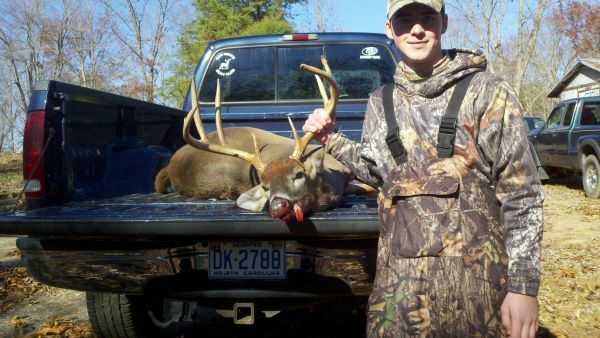 Great Deer in response to a report titled: Nice 9 pointer taken in Cleveland Co.
Well i had an chance at my freak buck with a muzzleloader yesterday evening and came up empty handed. He came out following a doe at about 180 yds. I know thats a long shot for a muzzleloader and i shouldnt have tried the shot but i did and i learned my lesson. But there is no doubt in my mind i missed. 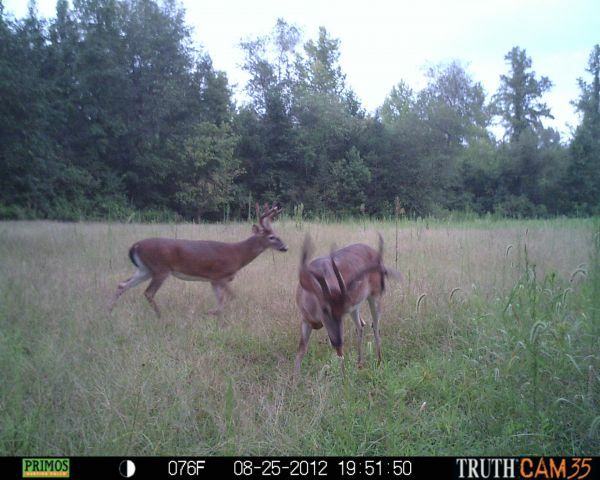 I'm going to try again this afternoon maybe he's still following that doe. But atleast i got the chance to see him and man he is awesome. that was the first chance i have got to hunt that area. Good luck everyone!! This will be a good one in a year or two. Im anxious to see him next year. I believe I Have some work to do! This is a buck i post pics of last year and i never got around to posting pics of him on the back of my truck thanksgiving morning 2011. Good luck to all. 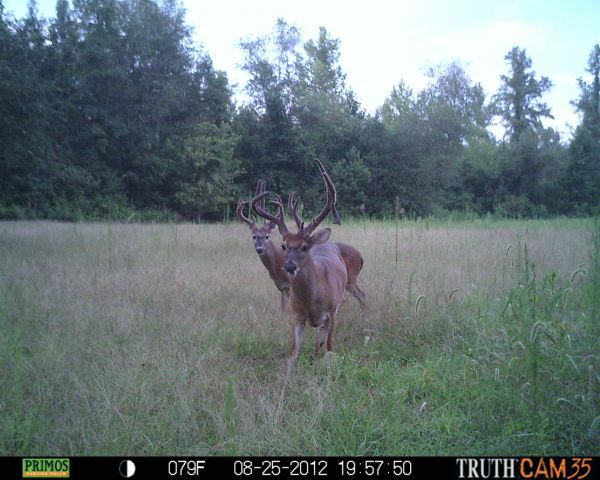 Hope to See him Come opening day! 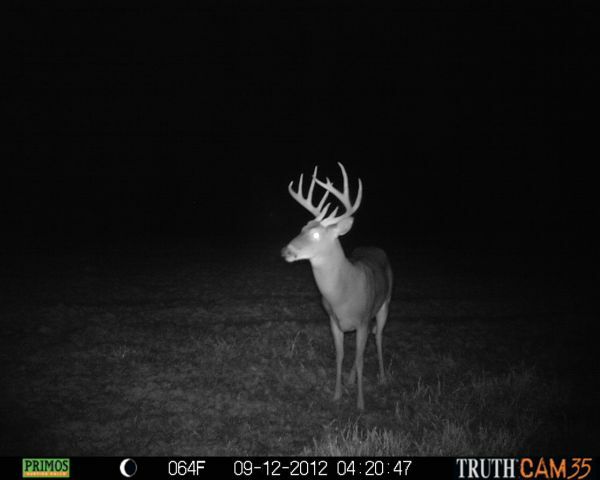 This is a pic of a buck i've gotten pics of for 2 years now. 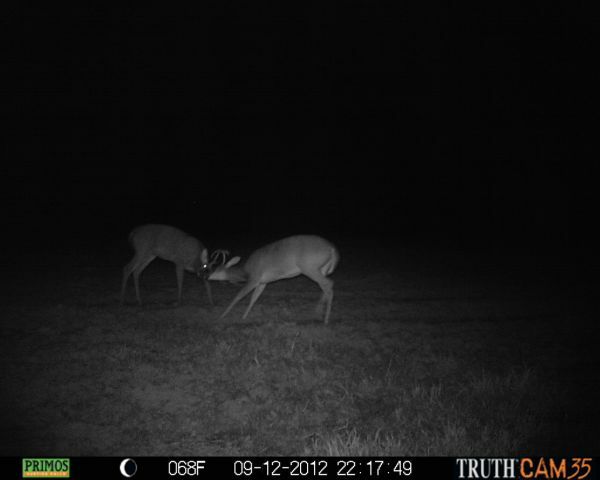 A comment titled: Great Deer in response to a report titled: Nice 9 pointer taken in Cleveland Co.
Thats a good looking buck. What part of cleveland county did you take him if you dont mind me asking? No I've never put them on video. I might try that when i go change my batteries out. I've thought of doing it but never have. 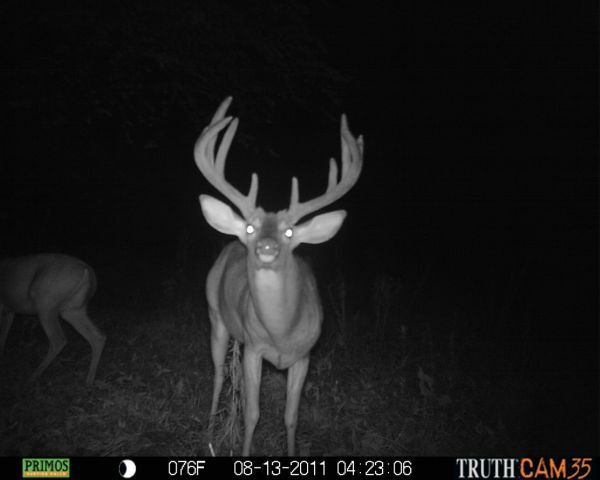 I still haven't had a chance to get in the stand and i dont know when i will. 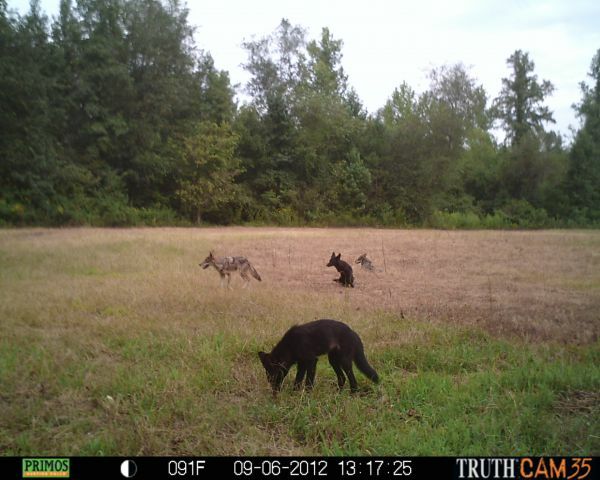 A comment titled: Bigger problem in response to a report titled: Coyote Problem!? My hunting partner hunted this spot monday evening and saw 6 yotes. Nice buck!! Maybe I'll some luck come friday morning! A comment titled: Freak in response to a report titled: Freak! Yeah i would love to see what he makes next year and if i go all year without seeing him it wont hurt my feelings. A comment titled: Thanks in response to a report titled: Freak! 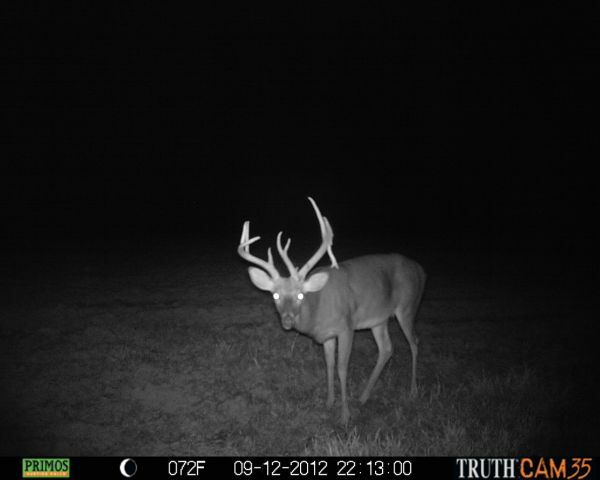 Thanks, I've got some pics from him last year and it's amazing how many inches he's put on. He's defiantly on the top of my list this year. Hunting is probably my biggest passion right next to law enforcement. Currently enrolled in basic law enforcement training (BLET). I hunt every chance i get. I enjoy taking first timers hunting because i can remember how excited i was the first time i was took hunting and I think everyone should enjoy that feeling.